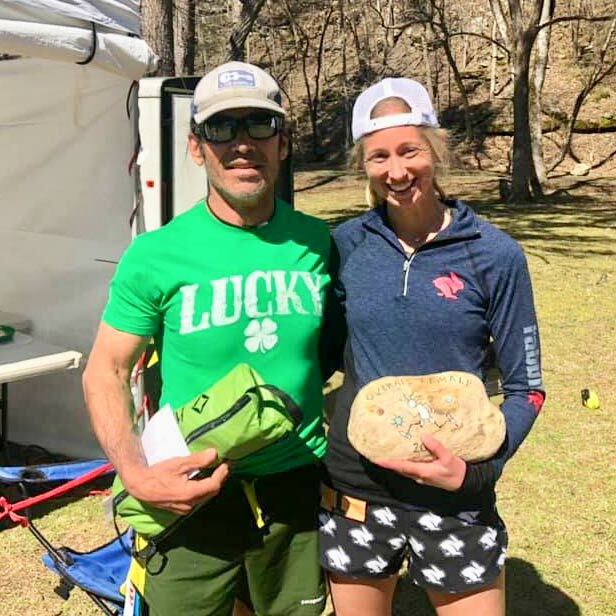 Sisters ultra-runner, Ashley Nordell, 38, put another feather in her cap with a big-time win at her favorite event, the Three Days of Syllamo, a three-day ultra-marathon stage race challenge held in northern Arkansas. Counting this year, Nordell has taken part in the Syllamo race nine times and the event remains her favorite among ultra marathon competitions, due in large part to the camaraderie that has developed among runners over the years. Kirk and his wife and daughter direct the race as sort of a family affair, according to Nordell. The stage aspect contributes to the bonding of the runners, according to Nordell. In total the three days of racing add up to around 93 miles. Getting to the race proved to be as much of a challenge as the actual running, according to Nordell. Flight delays caused the trip to take a full 24 hours, which led to very little sleep, not to mention throwing off any normal pre-race preparations. Darla Askew of Bend joined Nordell for the adventure and faced the further complication of contracting food poisoning at one of the airport stops. “It was actually a relief to get to the first race and get to running after all the trouble getting there,” said Nordell. Final results of the three days of racing are determined by the cumulative time from each day. A runner might not win any individual races and still come out on top. The three days of racing started with a 50-kilometer (31-mile) race on March 15, in which Nordell finished second. Day two presented the runners with the longest stage of the event, a full 50-miler in which Nordell took the overall lead. The third day is relatively short in comparison, a mere 20 kilometers (12.2 miles), and Nordell was able to maintain her lead to claim the individual title. “Distances are approximate,” said Nordell. Nordell described courses as beautiful and somewhat technical and felt it took her the first day to get a feel for running on dirt after the snow-covered ground here in Sisters. Ever humble despite her strong record of top finishes at ultra races over the past decade or more, Nordell said she did not have expectations to win. “I don’t really plan for how I will do in a race like this one,” she said. Nordell covered the 50-kilometer section in 4:39:38, the 50-miler in 8:48:49, and the 20 kilometer finale in 2:00:14 for a total of just over 15 hours and 28 minutes of running time. She finished over 28 minutes ahead of the runner-up. Her friend, Askew, finished sixth overall and as the second female in a total time of 17:37:35. Syllamo was the first big race of the season for Nordell, who might jump into the Peterson Ridge Rumble this Sunday. She plans to do the River of No Return 108-kilometer race in Idaho in June and the Wasatch 100-mile race in Utah in September.